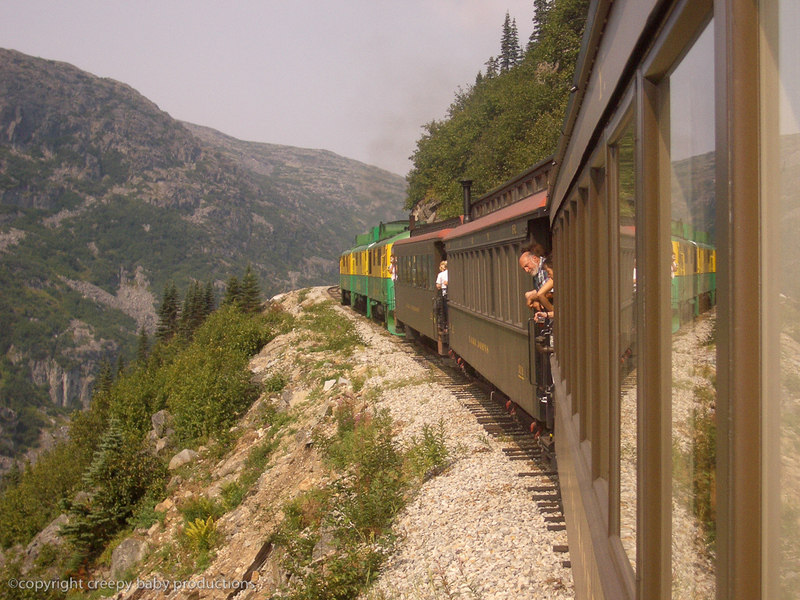 Experience the infamous White Pass and Yukon Route Railroad as well as the greatest drive in North America all in one fun filled day! Your afternoon departure will give you the chance to take another tour in the morning, explore the town while it is on the quieter side, or you can sleep in for a change! You are on your own to pick up your train tickets which you PREBOOK in advance from the train depot on 2nd ave. You can walk or take the city shuttle up to 13th ave Fraser train station for your 1:00 FRASER TRAIN DEPARTURE. Your train departs at 1:00 so it is good to be there 20 minutes early to find your car assignment from the station master. Your driver will be waiting for you at Fraser BC. Your train will arrive at 2:45 and it will take approx 15 min for Customs to clear the train (BE SURE TO GO TO THE BATHROOM BEFORE THE TRAIN NEARS FRASER AS THE DELAY CAUSED BY USING RESTROOMS AT THIS LOCATION WILL CAUSE A BACK UP IN VEHICLES HEADING NORTH AND CAN COST US 15 MINUTES DUE TO WAITING-- SO ONCE YOU HIT THE SUMMIT...GO TO THE RESTROOM ON THE TRAIN:)). Your driver take you on drive of your life up the Klondike Highway through northern British Columbia and to the majestic Yukon Territory/BC border. 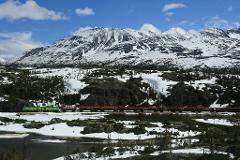 You will have many opportunities to stop for photos and enjoy the scenery up the highway and all the way back to Skagway. 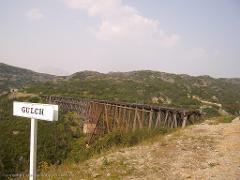 Enjoy views of the train tracks and maybe spot a train in action while you are driving south back to town. For those who take the summit only train, they never get to see how great they look from afar-- that is one of the reasons the highway/train combo is so wonderful; you get to see both amazing routes into the interior. The driving portion of the tour will be 3 hours total at a vehicle rate of $500 for the entire group up to 6 people. 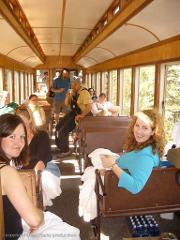 The train portion costs $84 per person for adults and $42 for a child and must be purchased well in advance directly from White Pass RR. PASSPORTS REQUIRED TO PICK UP TICKETS AND BOARD THE TRAIN. Tour prices are subject to a 5% city sales tax which will be added to the total at checkout. In the booking option to the right above it says "choose a time" and 2:00 is the option-- this is for my booking purposes in order to have it correctly register in my booking calendar.